Wake up Sid opens with a guy who sits with his book to study for his exams and falls asleep in the procees and before I could fall asleep, the background score just makes you feel fresh and makes you wait to see what happens next! Sid (Ranbir – Hero) is a rich kid who once used to be a topper at school. He is now totally not interested in studies one bit. All he wants in life is to have fun, bindaas life, care free attitude and does not worry about tomorrow. Aiysha (Konkana – Heroine) is a new girl in the city who wants a have things of her own and live an independent life. How these both meet, become responsible and make their life beautiful together is what Wake up Sid is all about. Sid and his frien ds are in their final year of college and its time for their farewell party. He loves to take photos and since he has no date for the farewell party (the setup is just a replica of a prom) clicks random pictures. This is where he meets Aiysha. Knowing that she is not a part of the college, he starts talking to her and they quickly become friends. As she is also new to the city, he decides to show her the new place and so they to go for a stroll. Here they talk about passion, how she wants to write, how he loves the monsoon which eventually leads in them sharing their mail id. As time goes by, they both become real good friends, she buys her own house, gets the job that she had wished for. When everything seems to be fine, Sid fails in the university exams while his other friends pass. This gets him dejected, leading to a big fight at home and ends with him walking out of home. He then lands up knocking on the doors of Aiysha. As days fly, Sid learns how to cook, make his bed and also think of getting a job which he does with the help of Aiysha. Here is the cute turn of events – Sid’s proposal to Aiysha which was once rejected by her due to his immatured and childish behaviour. makes her fall in love with him for the same reason. It definitely sounds “yeah I knew it” but how it happens is where one will enjoy. Sid finally becomes responsible and finds a job in the magazine that he interned. This makes his parents very happy and decides to move back home. How they both express their feelings and get together is what the story ends. While Hollywood movies end with french kiss, Bollywood ends with a HUG! I loved Konkana’s emotions – as usual perfect!! No draggy scenes, excellent Background score and a cute couple makes this movie worth watching. Dance – as we all know is the movement of ones body rhythmically according to the beat of the music. It involves many expressions, actions in different settings. It can be spiritual or can be totally just jumping around and having fun. My classmate in VFS – Kelly Balon is the director of Rhythm and action arts. He has as a strong balance of academic and experiential skills in International and Community Economic Development with his studies at Simon Fraser University and the University of Saskatchewan. He has a demonstrated knowledge of issues affecting youth, and practical strategies for empowerment with over six years experience working with youth and diverse communities. In the last three years in Vancouver, Kelly has integrated his unique approach to youth engagement and empowerment with sport and recreation leadership training programs for native youth in East Vancouver. He brings a creative force to community development projects with his education and training in martial arts and his passion and knowledge of the entertainment industry. It started in 2001 back in Saskatoon. Now all shows, small to large happen in Vancouver. RAW is all about the Art and Discipline of movement. With funding from the Community Mobilization Program of the National Crime Prevention Centre, organizers expanded into the “Vancouver Urban Arts” program, ultimately leading to the newly established society on June 1, 2006. One of their goals is to promote dance as an excellent form of health and fitness development. The talents ndividuals with a range in experience and talents including Breakdancing, Hiphop, Powwow/ Fancy dance, Capoeira Angola/ Regional, Other cultural dances like Bhangra, DJs and Grafitti artists. They have hosted several bboy/ bgirl battles – Raw Talent I, II, and III, as well as performance showcases including Floorplay. I know there are thousands of musicians out there who have composed musical pieces that anyone would love to hear over and over again. Coming from Chennai, India I have grown up listening to mostly cinema music, especially Tamil songs!!! I have to talk about two the most famous music directors of all time in the Tamil Industry (Kollywood). They have created some of the best music one can ever listen. No matter how many times you keep listening to it over and over again, you are not going to get bored. They just take me on an amazing journey every time I listen to them. It’s just amazing how music can totally take you to a different world!!! I listen to all kinds of music and off late have also started listening to heavy metal. But may be because I have always been listening to Tamil songs, I feel that its one of the best music one should listen to. I will say that there are many Hindi songs too that are brilliantly composed. In Hindi one can find more variety as there are many upcoming artists and album songs that are equally good like the movie songs. To say, in Hindi I see more and more new talents coming up and doing their album which is great. I wish that could happen in Tamil as well where more individual artists or bands come up with good, quality music and show their talent and music to the whole world. Another kind music that I have started listening off late is Sinhalese. I have not heard so much but I am really enjoying the way they portray music. Its really nice that there are many young music directors that are coming up too like G.V.Prakash. Hence the two biggest Music Directors in Tamil Industry are non other than the great Maestro Ilayaraja and the unbeatable A.R.Rahman. These two have not just contributed to Tamil industry. Their music has no bounds. They have touched thousands and thousands of people with their music and the fans just keep getting bigger. 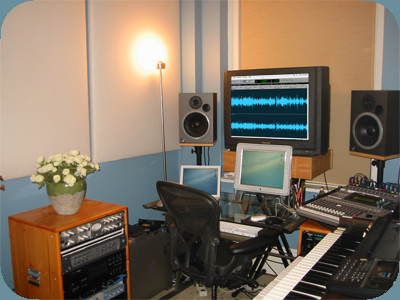 They have not only composed music for films but have also composed for various other purposes. A.R.Rahman has composed tunes for raising charity, for Taj Mahal and the like. the following two posts will talk about each of them, little bit in detail about their background and how they started off to reach where they are now!!! Few other good music composers are Harris Jayaraj, Shankar-Ehsaan-Loy, Preetam, Yuvan Shankar Raja, Deva, Vidya Sagar, Vishal-Sekhar, Ismail Darbar etc. Born and brought up in an obscure village near Kambam in Southern Tamil Nadu, Ilayaraja became the first Asian to score a symphony for the London Philharmonic Orchestra, besides scoring over 500 feature films in a period of 20 years. Raja, as he is popularly known and affectionately called, comes from a family of musicians. His mother, a huge repository of Tamil folk songs, seems to be a very strong influence in his music. He learned to play the harmonium, the typical musical instrument used in street performances. The team of the brothers, the eldest being Pavalar Varadharajan, a poet, worked as a group of musicians traveling across the state, accompanying theater artists. Raja picked up most of his acumen for audience tastes during this period. In 1969, Raja migrated to the city of Madras, the Southern Movie capital, when he was 29 years old, looking for a break into music making for the public. He studied under Dhanraj Master, playing the guitar and piano in the Western style. He later earned a diploma in music from Trinity College in London. Ilayaraja’s break into music for films came with Annakili (1976). The film dealt with a village story, to which Ilayaraja composed great melodies. The songs offered simplicity and musicality typical of Tamil folk in an authentic way, and they offered new sounds–rich orchestration typical of Western music. The songs became an instant hit, the most popular being “Machchana Partheengala” sung by a female voice, S. Janaki. This was followed by a series of films that portrayed contemporary Tamil villages in an authentic way, against stylistic shallow portrayals before. For all of these films Raja created memorable songs. Most popular were the songs “Senthoorappove” and “Aatukkutti Mutaiyittu” from Pathinaru Vayathinile (1977), and “Samakkozhi” and “Oram Po” from Ponnu Oorukku Pudhusu (1979). Raja soon proved his abilities in other styles as well. Classical Karnatic melodies were used in Kannan Oru Kai Kuzhandhai (1978) (Rag Mohanam), Mayile Mayile (Ragam Hamsadhwani), and Chinna Kannan Azhaikiran (Reethi Gowlai). Raja’s grasp of Western classical structure became evident with his masterful use of the piano, guitar, and string ensembles. 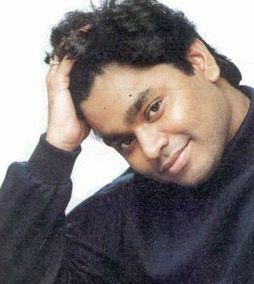 Some of the numbers that show his orchestral genius are “Pon malai Pozhudu” and “Poongadhave” from Nizhalgal (1980), Kanmaniye Kadhal from Aarilirindhu Aruvathu Varai (1979), “Ramanin Mohanam” from Netri Kann (1981), “En Iniya Pon nilave from Moodupani (1980), “Paruvame Pudhiya” from Nenjathai Killathe (1981), and “Edho Moham” from Kozhi Koovuthu (1982). These songs could literally be heard coming from every doorstep in Tamil Nadu state every day for at least a year after being released. 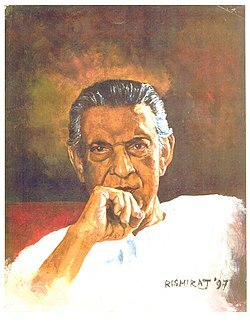 Raja composed film music prolifically for the next fifteen years, at a rate of as many as three new songs a day. After a few years as a film composer, he could write all the parts to a score as they came to him, and his assistants would make fair copies, which would be recorded immediately. Raja went for a trip abroad to Europe, partly to visit places where Wolfgang Amadeus Mozart, Johann Sebastian Bach, and Ludwig van Beethoven lived. They were his Gurus or non-physical teachers, he wrote once. He also met contemporary composers and arrangers including Paul Mauriat. His listeners were awestruck by the quality and quantity of his musical output. He also scored a few films abroad. Ilayaraja’s image grew to be a unique one in the history of Tamil cinema: stories, themes, and castes would be changed to fit his music, which swept away the minds of millions of Indians in hundreds of films. He has composed music for close to 900 movies and has sung more than 200 songs. 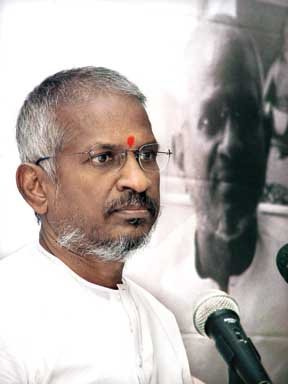 Illayaraja introduced many new talents to the music field like Chitra, Mano, Malayasia Vasudevan, Dipan Chakravarthy, Jency, SP Sailaja, Sujatha etc. Illayaraja brought the best out of S Janaki and showcased her talent in a multi-dimentional way. Same holds good with Sadhana Sargam. She won National award last year for the song ‘Pattu cholli’ in Azagi. He has won many awards like the Best Background Music for the film Hey Ram, Best Music Director awards for films like Rudra Veenai, Sindhu Bhairavi etc. His music is so soothing to the ears. Every composition of his is unique. He has composed many catchy melodies and there is a way in which this song flows like with preludes and interludes. He uses instruments such as Veena, Nadaswaram, Mridangam and tabla along with electric guitars, keyboards, rhythm boxes etc. The fusions are sooo good that one can repeat it so many times and it still fells new. He has a very distinct voice too. It sounds kind of nasal and especially the song Thendral Vandhu from the film Aavatahram, I just fly away into a different world. You can listen to Ilayaraja’s music through Youtube and if you know his songs, Raaga.com should be the best choice. I am sooooo excited about this movie as I am a die hard fan of Super Star Rajini Kanth . The same big names who were involved in Sivaji are ready for the never before made Sci-Fi thriller in Tamil industry. Shankar, Rajinikanth and A.R.Rahman have come together for the second time to make Shankar’s dream project come true. Looks like the budget for the movie is even bigger than Sivaji which was close to Rs. 30 Crores (I’m guessing!!) . I am thinking close to 50 crores for sure for this movie. 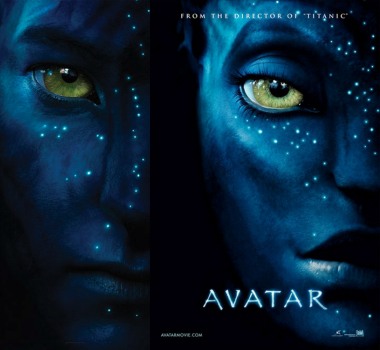 This movie had many heroes before Shankar finally announced that Rajinikanth will be the male lead. Some of the names where Shahrukh Khan, Kamal Hassan, Vikram etc. Same was the case with the heroin and as far I have heard, looks like Aishwarys Rai will be the female lead for the movie after Nayanthara and other big names. Ayngaran and Eros International will produce the film. The rest of the crew is yet to be decided. Hope this will set a landmark for the Tamil Industry and make it big across the world not just financially but also quality vise. News says that this movie is going to be released simultaneously in Hindi , Telugu and others. I am not going to expect too much but hope its bigger than Sivaji in every way. All the best to the crew and for the success of the movie!!!!! I shall keep updating this as I get to know more!!! While I was seeing videos in Youtube, I came across this video and the language is Moldovan and she is Romania. Her name is Cleopatra Stratan and is 3 years old!!!! Feel like I have wasted so many years of my life!!! It is one the most beautiful voice I have ever heard. She sings so sweet like an Angel. Wishing her all the best in the future. You must listen and watch this video. Im sure you will love it!!!!! Check out her cute expressions!!!!! Love it!!!! The lyrics in english are below!!!! A whole night, just for you my Ghita?